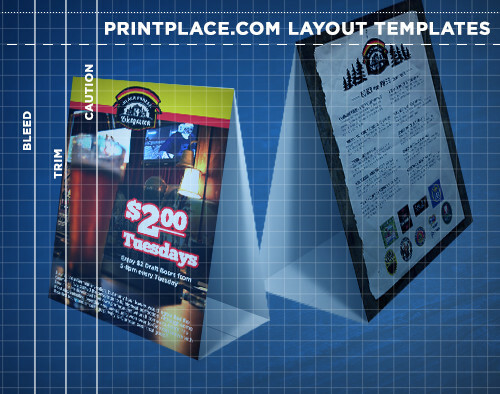 Table tent layout templates let you verify the size and orientation of your artwork. Don?t let the needed folds and gluing feet confuse you. Just follow one of our templates and you?ll understand which direction each should face and the size each side really needs to be. Download one for Illustrator or Photoshop below. 1. Pay attention to the safe area, cut and bleed area to make sure your table tent designs don't get cut out. 2. Make sure to design both sides of the table tent. Keep in mind that the designs do not have to be identical.